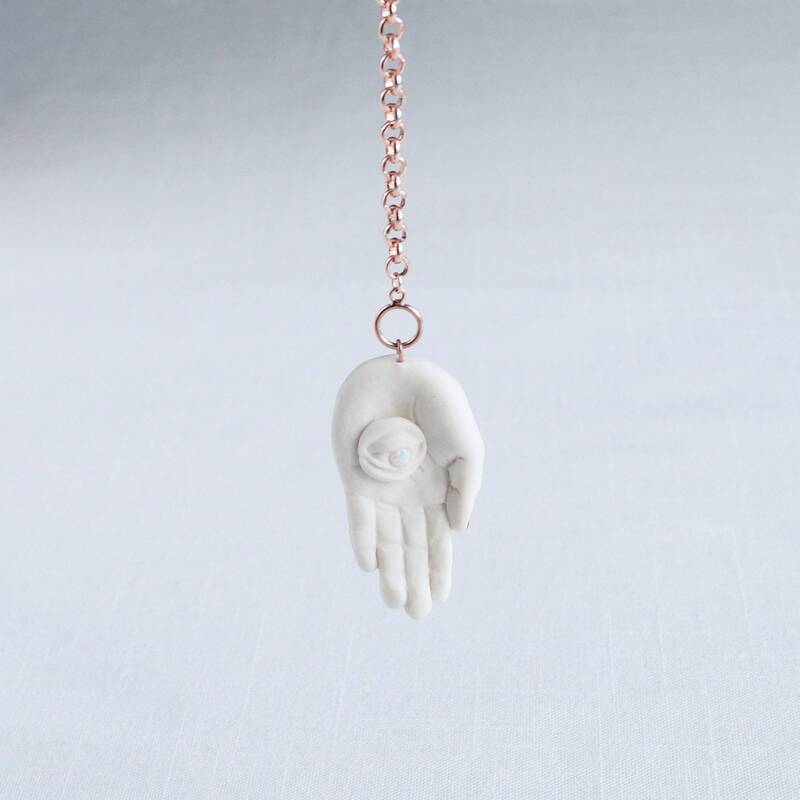 Dowsing will be a magical experience with this sculpted porcelain hand pendulum. 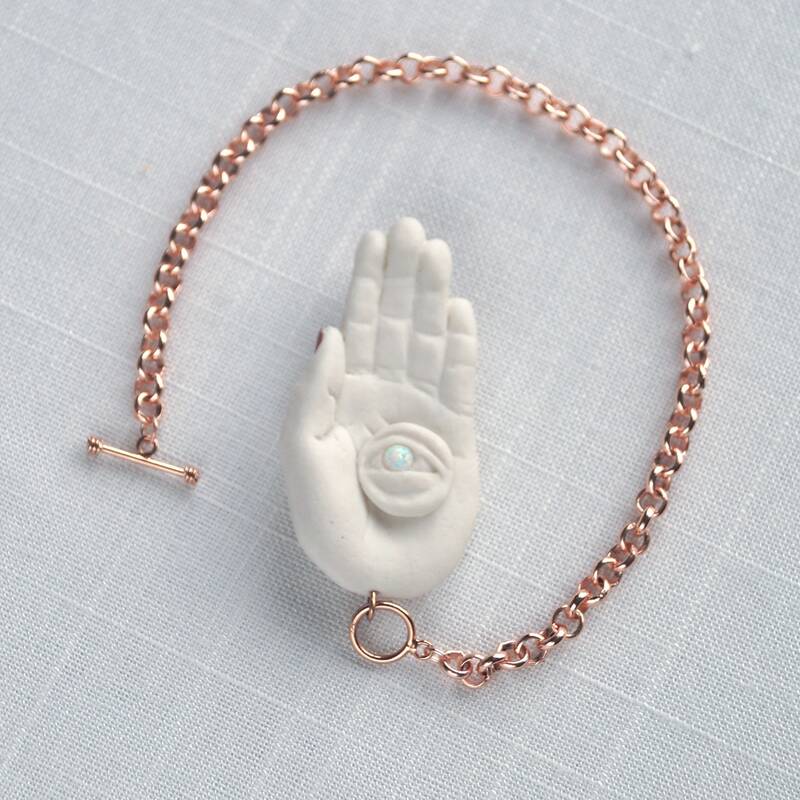 It has an opal eye light (or evil eye) in its palm which symbolises spiritual vision, rose gold finger nails and rose gold chain. 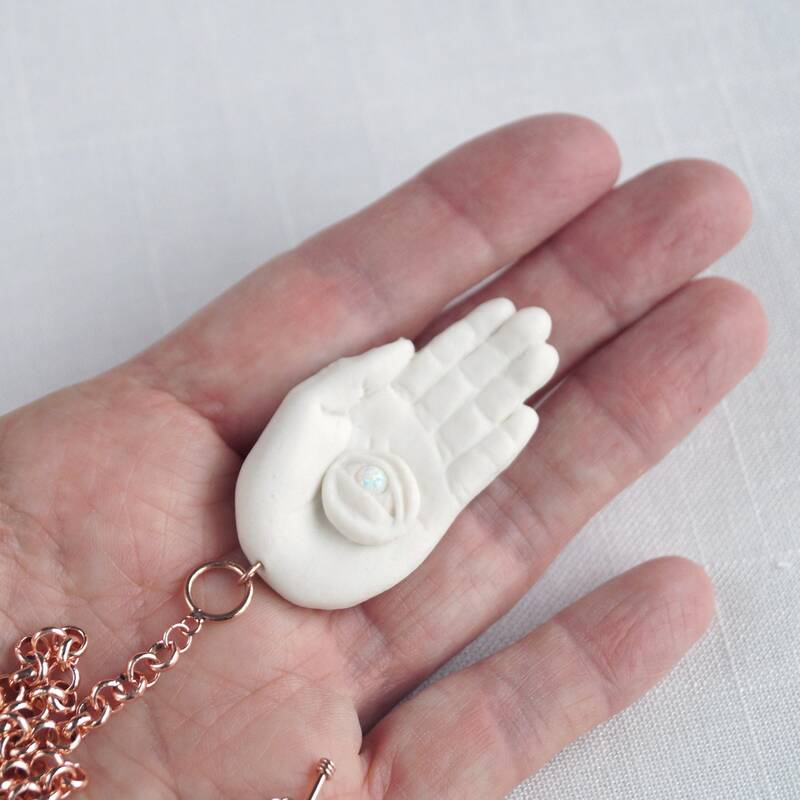 This hamsa pendulum can be worn as a bracelet inbetween dowsing and is something to be treasured. 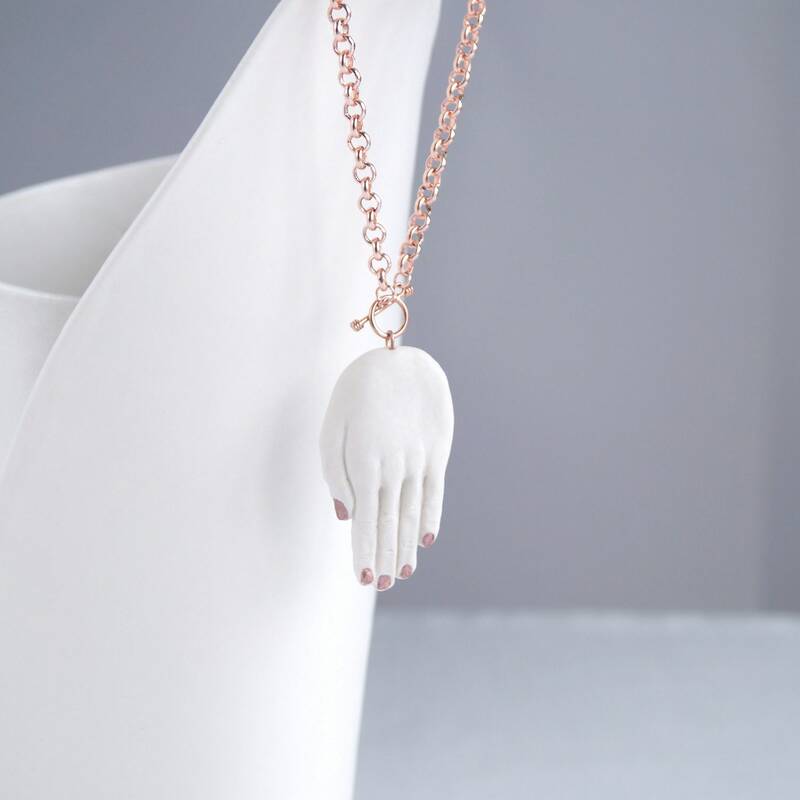 I modelled a hand in wax, and from it, made a mould which was used to cast the porcelain hand. The sculpted eye was added and the ensemble was fired in my kiln. Ceramic porcelain hand 5 x 3 cm. 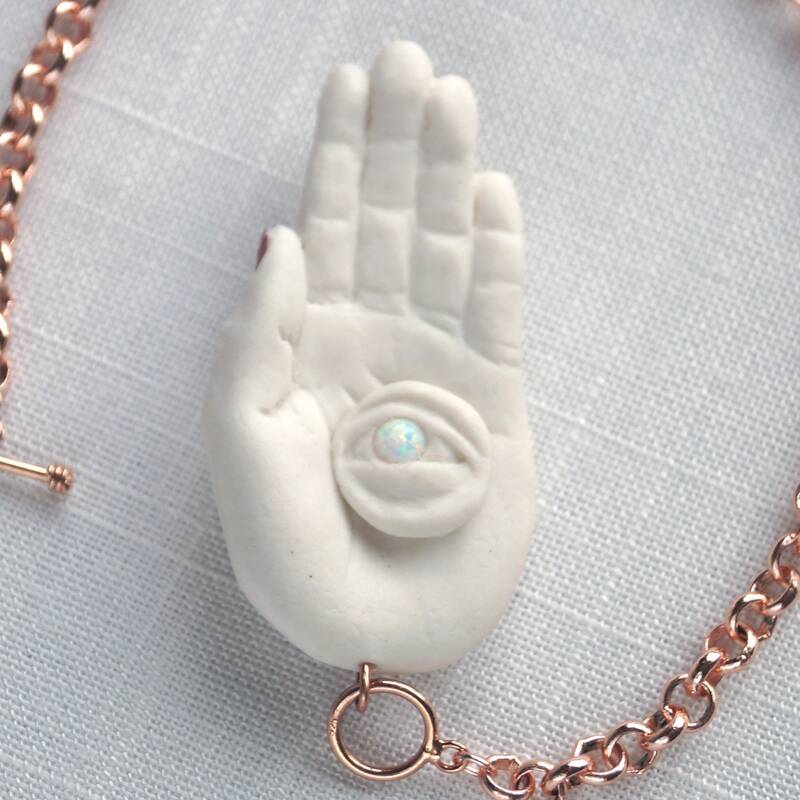 Lab created opal is secured in the eye. 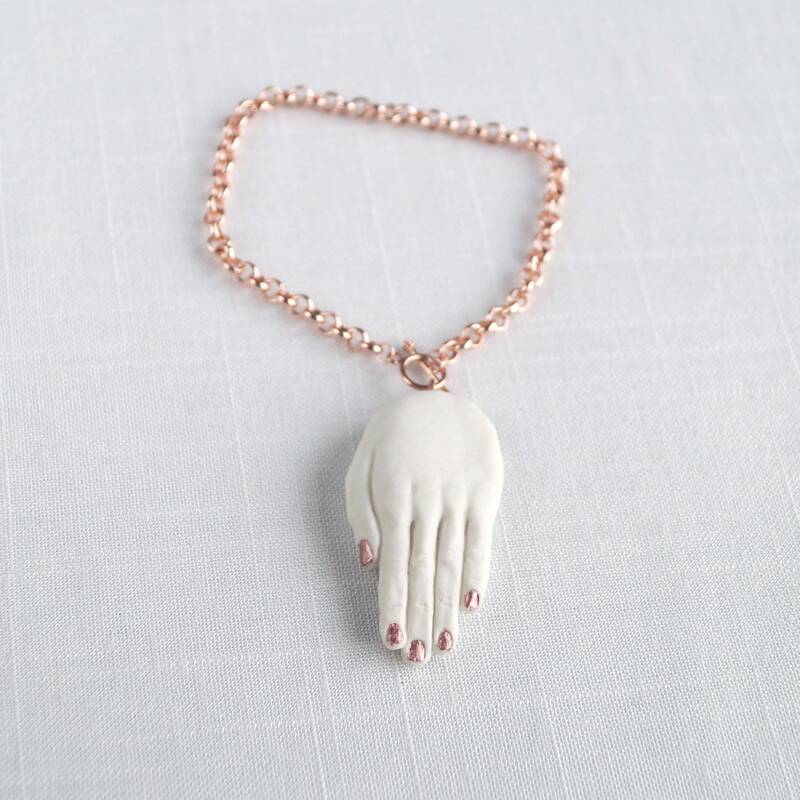 Rose gold enamel finger nails. Rose gold vermeil (plated sterling silver) clasp. Rose gold plated rolo chain 21 cm long. Can be shortened to fit smaller wrist if requested. VK branded gift box included. Please allow for slight differences due to the hand made processes. Yours will be beautiful like the one shown.